CCW (Carry Concealed Weapon) – A Carry Concealed Weapon license is a permit to carry a concealed weapon in public. If you live in Kern County, it is not hard to obtain a CCW if you use the proper reason. Any of the local CCW class instructors can help you with your reason. For those of you lucky enough to live in Taft, the current Police Chief will issue licenses if you simply put your reason as “personal protection”. In Taft, that means anyone who has a clean background can pretty much get a CCW. CFD (California Firearms Dealer) – The CFD number is a unique number assigned by the CA DOJ to each firearms dealer location in California that the CA DOJ recognizes as fully licensed pursuant to PC Section 26715. The CFD number serves as the dealer’s identifier for submitting DROS information and for other business dealings with the CA DOJ. CFLC (California Firearms Licensee Check) – California Penal Code Section 27555 prohibits all Federal Firearms Licensees (FFLs), other than Type 03 or 06 FFLs, from shipping firearms to an FFL in California unless, prior to delivery, the FFL intending to deliver, sell or transfer the firearms obtains a verification approval number from the California Department of Justice (CADOJ) Bureau of Firearms. This includes transfers that occur at gun shows. DROS (Dealer Record of Sale) – The State of California requires all long gun and handgun transactions to be processed electronically through the CA DOJ. DROS fees for a single handgun transaction are $25. DROS fees for each additional handgun are $21. Long gun DROS fees are a $25 flat fee for one or more long guns. FFL (Federal Firearms License or Licensee) – The federal government requires all interstate firearms transactions to be processed through a FFL. Ten Percent Firearms has a Class 01 FFL that enables them to receive and ship firearms over state lines. Private parties can ship firearms over state lines as long as the firearm is sent to a FFL dealer. Private parties cannot accept firearms from other states and must go through a FFL dealer. FSD (Firearms Safety Device) – The State of California in their infinite wisdom has determined that only certain “gun locks” are good enough to put on a firearm and as a result if you buy a “gun lock” in California, it has to be on the Roster of Firearms Safety Devices Certified for Sale. 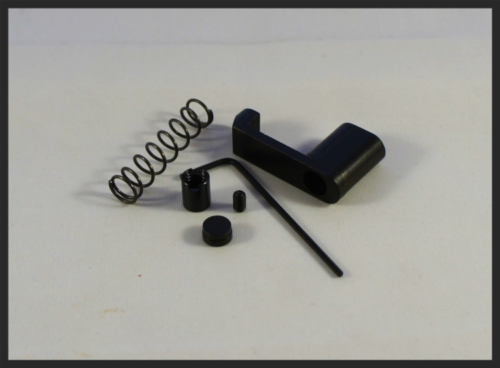 LPKs (Lower Parts Kits) – For Stripped California Legal Self-Loading .223 Lower Receivers, you need a lower parts kit set so you can add the pins, springs, hammer, selector, and pistol grip to the rifle. They generally sell anywhere from $50-$60. See our Uppers Pages for more information. OLL (Off List Lower) – Off List Lower refers to a California Legal AR-15 or AK-47 receiver that is not listed on the Kasler List and therefore is legal for purchase in California. These lower receivers must still comply with the generic features ban of SB-23. 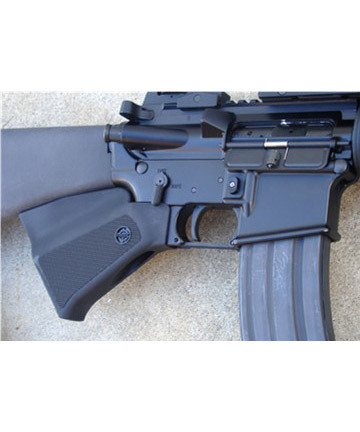 See the Calguns.net A California AR/AK “Series” Assault Weapon FAQ for more information. PPT (Private Party Transfer) – A private party transfer is a firearm transfer from one unlicensed (non-FFL) California resident to another unlicensed (non-FFL) California resident. A private party transfer fee is mandated by the state to be a maximum of $35. Private party transfers are not transactions between Ten Percent Firearms and any other individual or FFL holder. Safe Handling Demonstration – The State of California has mandated that anyone who purchases a firearm must pass a “safe handling demonstration in front of a CA DOJ certified instructor prior to taking possession of a firearm. If you cannot demonstrate safe handling procedures in front of a Ten Percent Firearms certified instructor, Ten Percent Firearms cannot release your firearm to you until you do. Sorry, it is the law.